I passed by this gem many times and finally dropped by this past Saturday afternoon. Nestled on a corner of Lakeview and Aiken Wham’s Cafe has an upbeat but homey vibe. The way the menu works is that they have different specials every day but also have staples they sell every day. 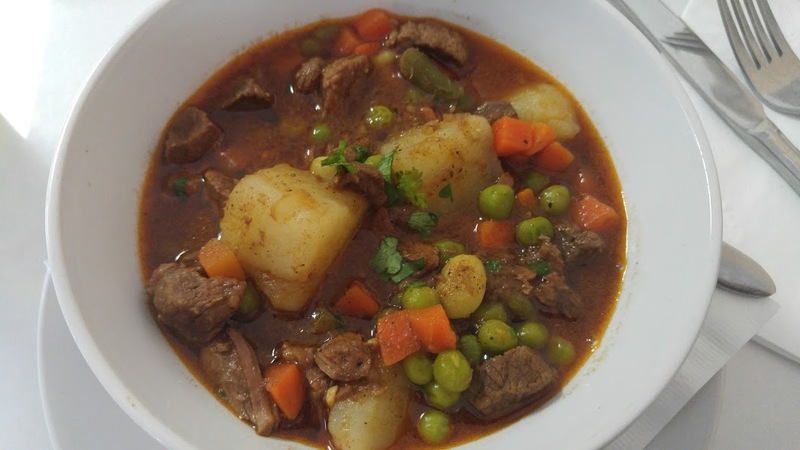 Lucky us that when we went the special of the day was Beef Stew with either Chapati, a type of flatbread or Coconut Rice. I got the Chapati and Roose got the Coconut rice, both were outstanding. The Chapati was thick, but not overly heavy, and full of flavor with just a hint of sweetness. The coconut rice was perfectly cooked with an abundance of coconut flavor. I put some of the rice in the stew and it was heavenly. We also ordered some samosas that were just a bit spicy and full of flavor. Each bite hit my palate in different ways and made me want more. Afterwards to finish off my Chapati I ordered some lattes, these were incredibly good, some of the best coffee I have had. The best part about all this is the owner Sandra makes everything from scratch and works long hours to make it happen. The cafe is named after her daughter and is part of the inspiration of why she wanted to open up a cafe such as this. If all food was created the way Sandra creates her food I would be a very happy woman. Go over the bridge and take a trip to Kenya right in our own backyard. You won’t regret it! July 12, 2016 by Timna N.
April 10, 2019 April 10, 2019 by Timna N.
February 28, 2019 February 28, 2019 by Timna N.
February 9, 2019 February 10, 2019 by Timna N.
Proudly powered by WordPress | Theme: Moroseta by Pankogut.